Delta has once again showed its support in a big way for the Reach Child and Youth Development Society. 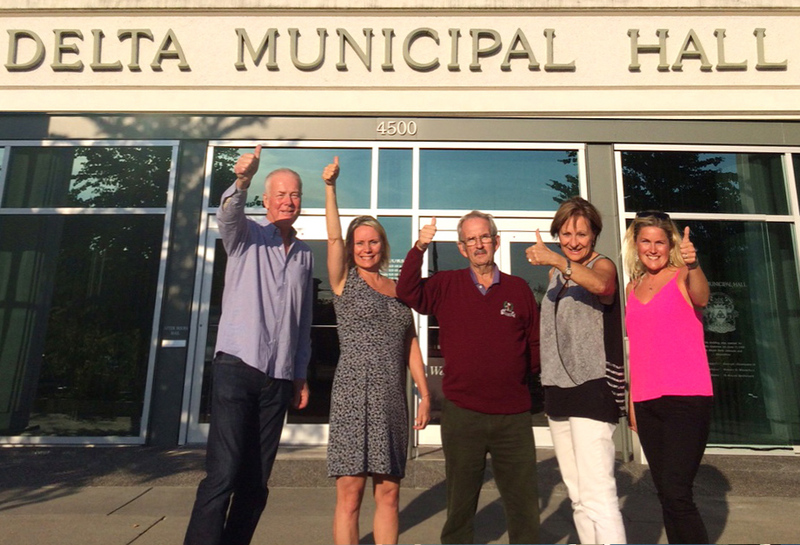 Delta council announced Monday that it had agreed to provide a financial contribution of $1 million for the society’s capital campaign to build a 21,600-square-foot support centre on 47th Avenue in Ladner. The Corporation of Delta has already provided the land, which is valued in excess of $1 million. Several directors and other members of the society were at Monday’s meeting and were elated with the news. “We’re just absolutely thrilled. It gets us that much closer,” said Barbara Wallick, chair for the Reach Charitable Foundation. Executive director Renie D’Aquila also said she was thrilled and that the society is appreciative of Delta’s ongoing support. The society hopes to begin construction next spring by first demolishing the Kinsmen House at the edge of Memorial Park. The new building is estimated to cost $5.4 million, a figure that includes construction, contingency, furnishings and an outdoor playground. Reach has already raised around $2.6 million and secured another $100,000, specifically for the playground. The $1 million contribution from Delta gets the project that much closer to reality. Once built, the centre will be owned by Delta and leased to Reach. The new centre will give Reach a much larger place to provide programs for youth with special needs. When the Kinsmen House is replaced, the Kinsmen Club, also a partner in the project, will use space in the new building. Reach’s current centre on 72nd Street in East Ladner, formerly a residence for mentally challenged youth, is clearly in a less than ideal location, cramped, antiquated and prone to flooding. The non-profit group, which has been providing services to youth and their families since 1959, serves hundreds of youths annually, saying children with special needs are at risk of being left behind without early support.